One of the many ways Marvel Studios plants seeds we won't notice for years lies in its choices for character deaths. To kill a character in a Marvel movie, particularly in the case of superheroes, is no small thing. Except in the cases of characters who come back from the dead (who, admittedly, are not exactly rare in the MCU), every dead character is a lost opportunity. 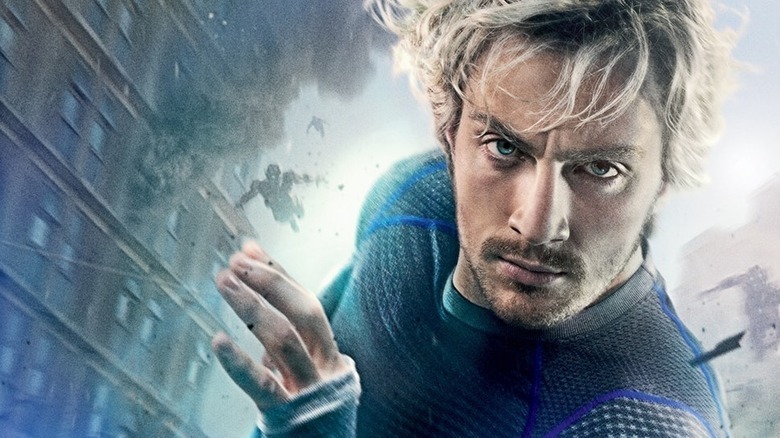 When Quicksilver (Aaron Taylor-Johnson) dies in Avengers: Age of Ultron, his death means no solo Quicksilver movie, no sequels to that movie, no merchandising for those movies, and so on. Sure, you may think the notion of a solo Quicksilver franchise is far-fetched, but you may want to remember how — not too long ago — a lot of people would have responded similarly to the idea of a space action franchise that counted a talking raccoon and a freaking tree among its cast. In other words, you can be sure when Marvel Studios greenlights a character's death, they aren't doing it lightly. There has to be a reason for that death, because every dead character who stays dead in the MCU is potentially money that's slipping through Disney's couch cushions. So when a hero or villain takes a dirt nap, you can rest assured there was a solid reason for it, and possibly one that will have larger implications down the road. With all that in mind, here's a look at some MCU character deaths that were more important than you might realize. When Quicksilver was killed by Ultron (James Spader) in Avengers: Age of Ultron, it was natural for many to assume the choice was made to forestall any confusion between the MCU Quicksilver and the version introduced in Fox's X-Men: Days of Future Past, played by Evan Peters. Not according to Marvel Studios President Kevin Feige, who told MTV in 2015 that Quicksilver died to elevate the stakes of Age of Ultron, and more importantly to guide the future of his sister (Elizabeth Olsen). Feige told MTV the speedster's death acted to "solidify Scarlet Witch's character, and Wanda's arc in the movie and where we'll see her in the next films." So exactly how does Quicksilver's death motivate Wanda in the films between Age of Ultron and Infinity War? Well, had Quicksilver lived, it's likely he would've had a thing or two to say about his sister getting into a relationship with an android. Whichever side Quicksilver would've chosen in Captain America: Civil War would've likely impacted Wanda's choices. She may not have automatically sided with him, but his support or lack thereof could've potentially made her decision easier or more difficult depending on where he landed. And so by Infinity War, it's safe to assume that the Scarlet Witch we're left with is one who is much more independent than the one we'd have if her brother had survived. What exactly happened to Xandar? We know from Avengers: Infinity War that Thanos (Josh Brolin) and his forces — in Thor's (Chris Hemsworth) words — "decimated" Xandar to get the Power Stone. But what does that mean? "Decimated" is a powerful word, but not a specific one. Did he literally kill everyone? It sure sounded like that was the case, but that isn't Thanos' usual M.O. ; usually he kills half, like he did when he attacked Gamora's (Zoe Saldana) homeworld. 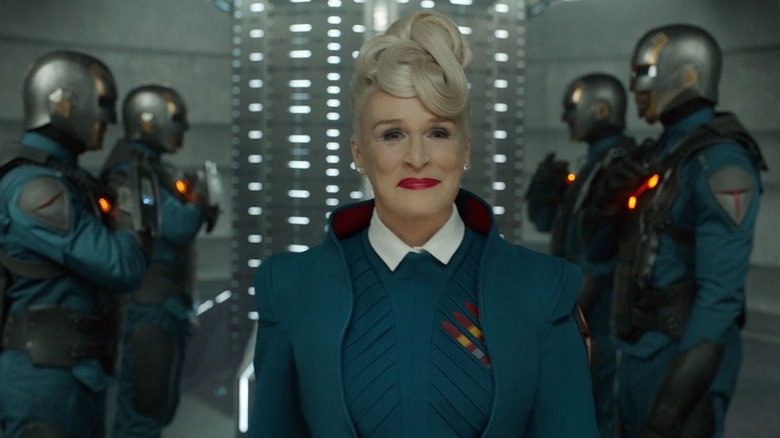 And if any Xandarians survived, then what about Nova Prime (Glenn Close)? Or Corpsman Dey (John C. Reilly)? One tantalizing possibility is that in one of Marvel's upcoming movies, we're going to see Xandar transformed; specifically, we may see its Nova Corps grow closer to the source material. In Guardians of the Galaxy, the Nova Corps was made up of relatively normal people. In the comics, every member of the Corps has super powers. They're essentially Marvel's answer to the Green Lantern Corps — given helmets (rather than rings) that grant them powers. Their abilities aren't nearly as versatile as the Lanterns', but you wouldn't want to get one of them mad regardless. If Xandar survived, then after weathering two separate assaults by alien maniacs, they may decide it's about time they build an army capable of more than just piloting spaceships and arresting raccoons. They might do whatever it takes to found the real Nova Corps. 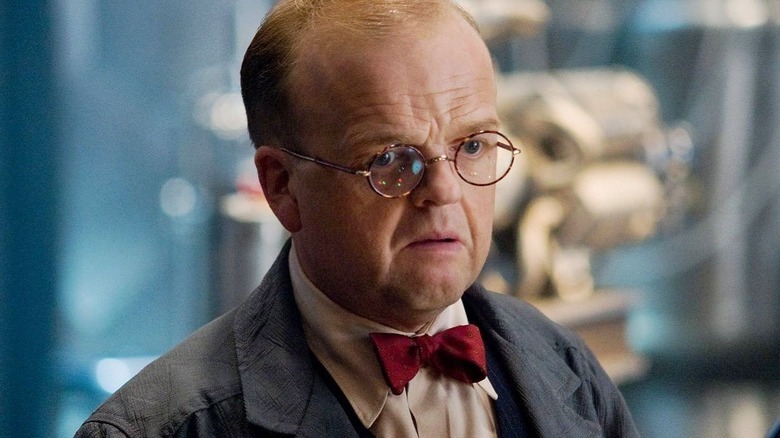 In Captain America: The Winter Soldier, we learn Arnim Zola (Toby Jones) died years before while secretly working with a resurrected Hydra, and transcribed his memories and personality into data. The result is an exposition scene outlining what Hydra had been up to for 70 years, and also a clever visual tribute to the Arnim Zola of the comics. 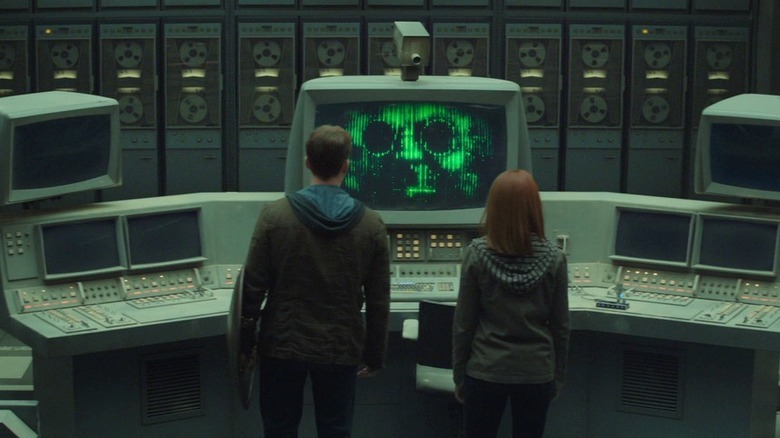 Strangely, something that's left completely unsaid in the MCU is that the Arnim Zola A.I., for Hydra, had to have been an important step down a very specific road. In Avengers: Age of Ultron, while talking to Bruce Banner (Mark Ruffalo) about the possibility of finally realizing their Ultron project, Tony Stark (Robert Downey Jr.) says his research on the scepter leads him to believe Hydra was using it to develop an advanced Artificial Intelligence. If Stark is right, then the creation of the Zola A.I. absolutely must have been part of the research that ultimately leads to the birth of Ultron (James Spader) and the Vision (Paul Bettany). In fact, fans came close to seeing even more proof. In November 2016, concept art from Ant-Man leaked, revealing director Peyton Reed considered bringing Zola back for the prologue scene at the (still under construction) S.H.I.E.L.D. Triskelion. This time he would've had arms and legs! Just like a real boy! Since Ant-Man was the first film to follow Age of Ultron, it might have helped cement the notion that Zola was Ultron's ancestor. Before his defeat at the end of Guardians of the Galaxy Vol. 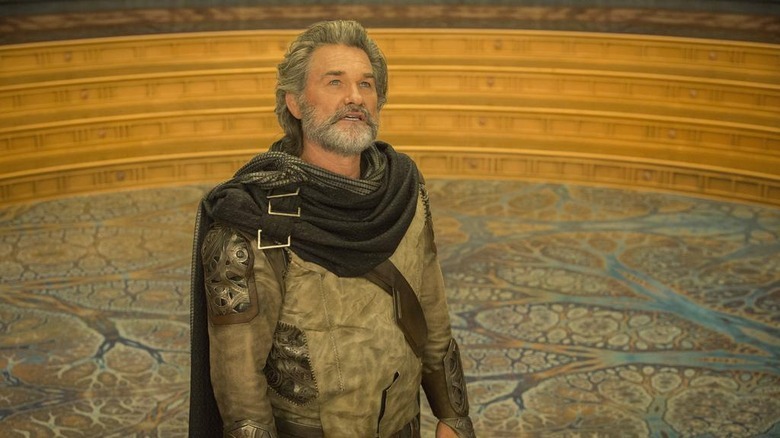 2, Ego (Kurt Russell) identifies himself as a Celestial — a race of mysterious beings with nearly limitless power who, in Marvel Comics at least, hold the keys to many of the universe's mysteries. This is one of the many ways Russell's Ego differs from his comic book counterpart (who is literally a planet with a giant planet-sized face), but that isn't what's particularly meaningful about his death. Instead, it points towards one of the MCU franchises we haven't seen yet. We know Marvel Studios is gearing up to introduce audiences to the Eternals, a race of superhumans whose origins are very much intertwined with the Celestials. In the comics, the Celestials created the Eternals specifically to defend the Earth against their opposite — the Deviants. If the MCU realization of the characters remains true to the comics in this way, then it's likely we'll be learning much more about the Celestials than we did in Guardians or any other Marvel Studios films. The fact that one of the Eternal's Celestial makers — Ego, who apparently believed he was the only Celestial in existence — was killed by an Earthman could be of great interest to Marvel's newest heroes. The Other — the double-thumbed alien who acts as middleman between Thanos and Loki (Tom Hiddleston) in Avengers — is casually murdered by an irritated Ronan (Lee Pace) in 2014's Guardians of the Galaxy. The Kree madman wants Thanos' attention and is tired of the Titan's emissary barking at him. The Other isn't a major character, though fans of early Joss Whedon TV vehicles Buffy the Vampire Slayer and Angel were likely a little disappointed. The alien was played by Alexis Denisof, who played Wesley Wyndham-Pryce, a Buffyverse character initially so annoying it's amazing no one ever broke his neck. With the 2018 publication of the prose novel Thanos: The Titan Consumed by Barry Lyga, we learned that Ronan did much more than dispatch an annoying intermediary. The novel reveals that the Other is a Chitauri — specifically the only Chitauri to be a bona fide individual — and as such he is able to negotiate Thanos taking over the leadership of his people. 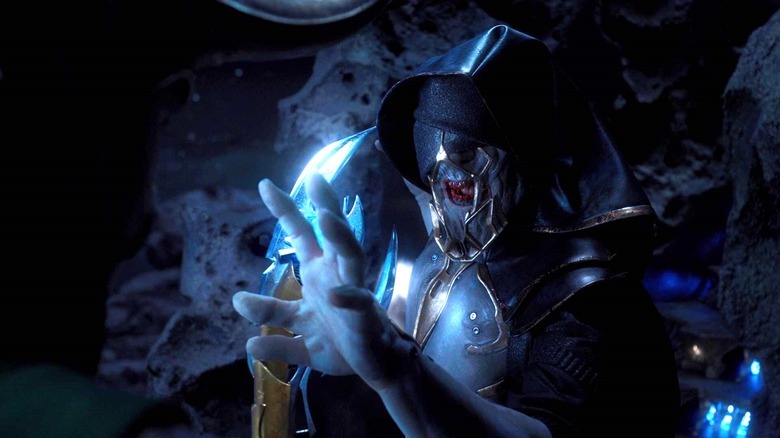 The rest of the Chitauri share a hive mind, which is why they all die when their command ship is destroyed in Avengers. When Ronan kills the Other, it's like finding a field of five-leaf clovers and setting it on fire, or finding the Holy Grail and tossing it into an active volcano. Of course considering Ronan is a genocidal maniac, knowing who he killed probably wouldn't steal much sleep from him. Considering Mickey Rourke is as likely to reprise his Iron Man 2 role as he is to replace Emily Blunt in the next Mary Poppins, this is one that will probably just have to remain a mystery. But the mystery's there all the same. Rourke's character Ivan Vanko swears vengeance on Tony Stark because Ivan was taught that Stark's father Howard stole the idea for the game-changing Arc Reactor from Ivan's father Anton. Twice in the film we see a small bit of evidence that seems to support this: design schematics with Vanko's name listed before Stark's. When Nick Fury (Samuel L. Jackson) reins in Stark's crazy behavior, he tells Stark that Vanko was full of it; his claims of stolen innovation were just a part of the drunken rage he dived into after getting shipped off to Siberia. But we never definitively learn whether Whiplash's father's accusations were valid. Fury says they weren't. He also says in Avengers that S.H.I.E.L.D. is only interested in the Tesseract because of the clean energy it could provide, and we know that's a lie. He's far from a reliable source. And while no, it proves nothing on its own, it is curious that Vanko's name came first on the schematics — both on the copies Vanko has early in the film and the one Stark finds in the stuff S.H.I.E.L.D. brings him from storage. Regardless, we'll probably never know. 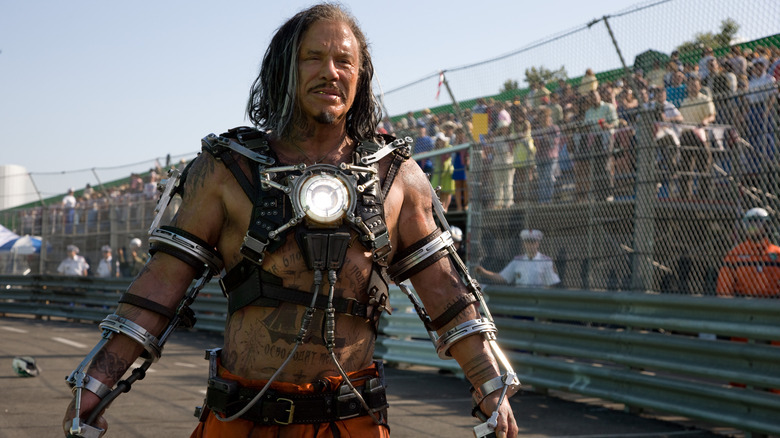 All we know for sure is that Mickey Rourke really doesn't like Marvel. 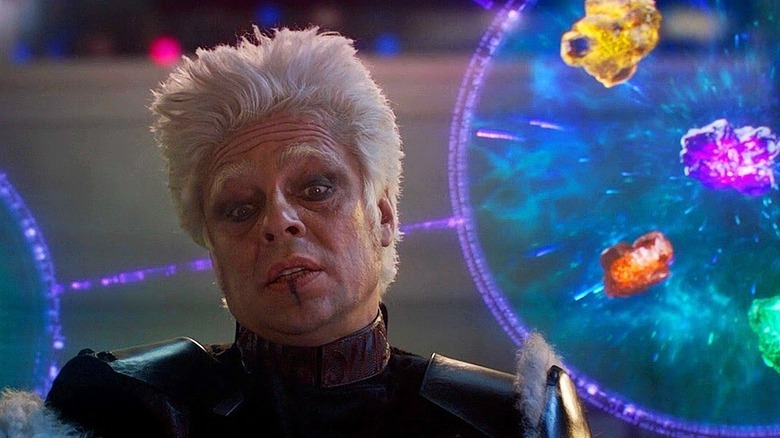 To a fan of the comics, one of the most curious blink-and-you'll-miss-it moments in the MCU happens when the Collector (Benicio Del Toro) tells the assembled Guardians the history of the Infinity Stones. In one part, he speaks of a group that once attempted to wield the Stones but could not contain their power. We see a brief shot of some unnamed aliens bursting into flame. If you know the comics, then the Collector sounds like he's describing himself. More accurately, he seems to be describing the Elders of the Universe, a group of cosmic beings whose most obvious commonality is each is the only surviving member of their species. Collector, Grandmaster (played by Jeff Golblum in Thor: Ragnarok), and Ego have been members. More importantly, at one time the Elders of the Universe lay claim to all but one of the Infinity Stones, and it was largely from this group that Thanos seized the stones before the 1991 miniseries Infinity Gauntlet. Five of the Elders each commanded one stone, with Collector and Grandmaster being two of them. The fact that three Elders have appeared in the MCU, that their connection to one another has never been mentioned in the films, and the fact that Thanos and Collector seem to know each other during their meeting in Avengers: infinity War all point to the notion that there is a big secret waiting to be revealed about the stones, the Elders, and Thanos. 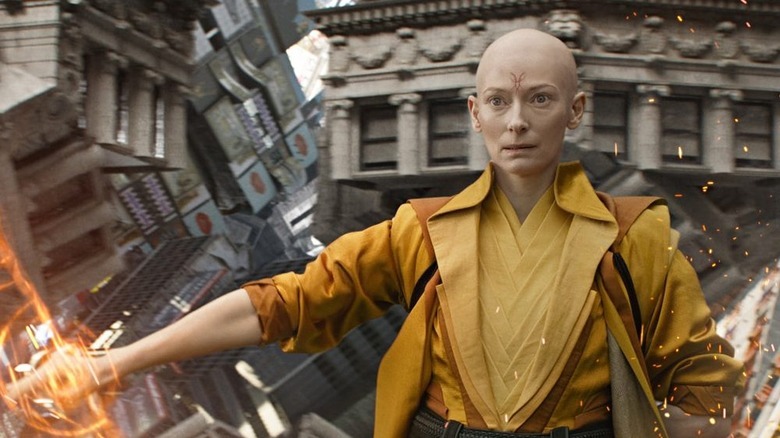 The death of the Ancient One (Tilda Swinton) in Doctor Strange raises questions that aren't answered by the end of that film. In spite of subsequent appearances by Stephen Strange (Benedict Cumberbatch) in Thor: Ragnarok and Avengers: Infinity War, those questions still haven't been answered. There are hints, perhaps, but nothing concrete. Namely, what happened to Kamar-taj? Immediately after the Ancient One's death, Strange and Mordo (Chiwetel Ejiofor) head to Hong Kong, and by the end of the film all we know is that Doctor Strange knows how to put his cloak on in slo-mo. The Ancient One's death leaves a huge void in Kamar-taj's leadership and we have no idea who, if anyone, has stepped up to fill it. The Ancient One and her students are apparently the only ones standing between the MCU's Earth and hordes of malevolent forces, so the question of who steers the ship now would seem to be a pretty important one to answer right away. The only hints we get are in what seem to be a huge leap in terms of Doctor Strange's mystic skill. In Doctor Strange, he was barely keeping up with Kaecillius' (Mads Mikkelsen) henchmen. By Infinity War, the guy gives Thanos (a Thanos with four Infinity Stones) a better one-on-one fight than just about any other hero in the movie. Is it possible Strange was allowed to assume leadership of Kamar-taj in spite of being the new kid on the block? 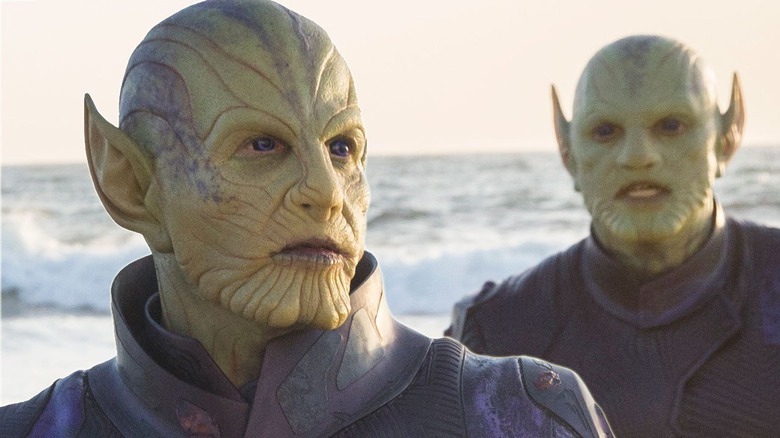 Captain Marvel gave fans a nice surprise twist — the Skrulls, advertised as the movie's bad guys, were actually the innocent victims of Kree aggression. Hunted by the Kree almost to the point of extinction, the Skrulls wanted nothing more than to gather what survivors they could and claim a corner of space where the Kree couldn't find them. In the comics, neither the Skrulls nor the Kree are all good or all bad. The two races have been at war for so long it's likely few remember how the whole thing started. 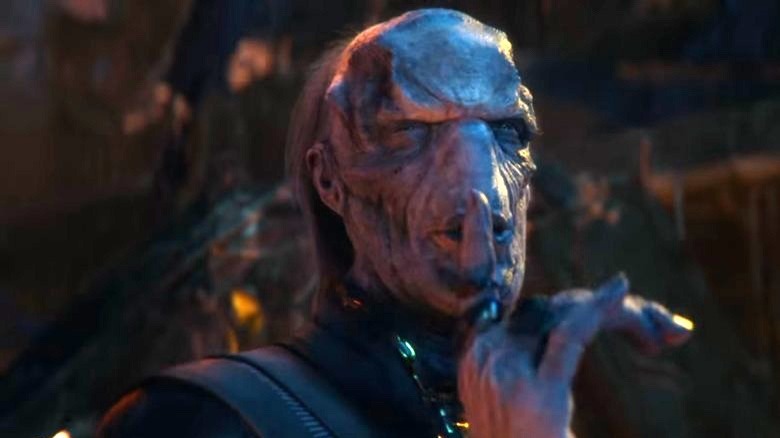 Captain Marvel leads us to believe all Talos (Ben Mendelsohn) and the Skrulls under his wing want is peace. But once they have that peace and a degree of safety from the Kree, maybe some resources to build their own empire, what will they want then? It seems strange, considering the races' comic book history, that the MCU would leave things as they are at the end of Captain Marvel. Once the Skrulls are back on their feet, get ready for them to come looking for the Kree to settle a very legitimate beef. Perhaps the most surprising death in 2018's Black Panther was Killmonger's (Michael B. Jordan) murder of Ulysses Klaue (Andy Serkis). Initially introduced as a weapons dealer in 2015's Avengers: Age of Ultron, some thought Klaue might be the main villain of Black Panther — and with good reason. For quite a while, Ulysses Klaw has not only been the Wakandan monarch's most persistent foe, he was actually T'Challa's first enemy. In the comics, Ulysses Klaw is much more to Wakanda than a thief; he's the killer of a king. It's Ulysses, not Zemo (Daniel Brühl), who murders T'Challa's father T'Chaka (John Kani) while trying to steal Wakanda's vibranium for himself. Still just a boy, T'Challa shoots Ulysses with his own sonic weapon, causing him to be transformed into the villain Klaw, a being composed of solidified sound. Black Panther director Ryan Coogler didn't like killing off Klaue. In May 2018 he told the Toronto Sun, "I like Klaw. It really bugged me having to [kill him]. It's tough when you have to kill characters off and I really did love that character." Coogler went on to heap praise on Andy Serkis' performance, calling him a "lovely person" who treats every scene "like it's the best day of his life." 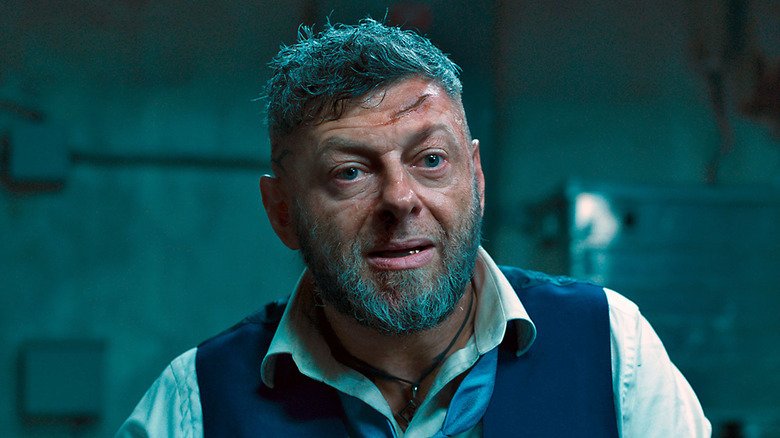 Considering Coogler's sentiment for both Klaw and Serkis, could we one day see Klaue return as a villain closer to the source material? Particularly considering it looks like Coogler's willing to resurrect someone else for Black Panther 2? The deaths of the various members of Thanos' ruthless Black Order likely surprised fans of the comics. In the comics, each respective member is more than a match for some of Marvel's most powerful heroes. With one strike of his scythe, for example, Corvus Glaive is able to force the Hulk to transform back to Bruce Banner in 2014's Infinity #6. Watching the entire Order get wiped out in one movie is, to a Marvel comics fan, kind of like seeing Superman lose an arm-wrestling match to Howard the Duck.